Digital Trends’ Review Of The Optoma UHD50 is Out And It Is A Great One! 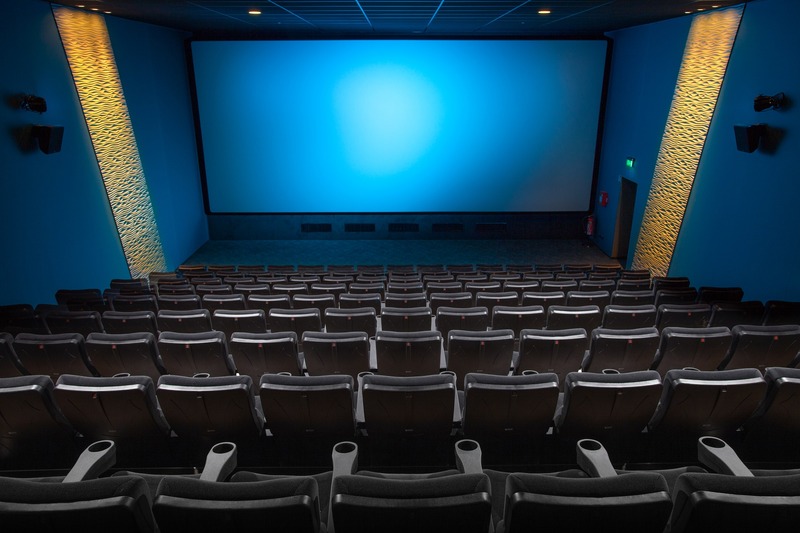 Everybody wants the visual experience of a movie theater without leaving the comfort of home, but historically that’s been difficult – or, at least, expensive. While there’s nothing like dimming the lights, popping a cold one, and watching your favorite film, tv series, or sports team in massive, 100-plus-inch glory, finding a projector of suitable quality at a price that didn’t put a major dent in the new car fund has been an insurmountable stumbling block. Not anymore, dear proletariat. With devices like Optoma’s new UHD50, which offers 4K resolution and astonishing HDR color at an affordable price, almost anyone can get in on the action. After spending a week evaluating the Optoma UHD50 while watching everything from Bad Boys to Chef’s Table, we’ve come to one simple realization: If you can buy one of these incredible new projectors, you should. Save a decent projection screen, the UHD50 comes with everything you need to set it up, plug it in, and stream Stranger Things in 4K in no time. It comes with a backlit remote (and batteries), a power cord, and an HDMI cable for connecting it to your receiver or video device. The UHD50 has a vast array of both video and audio inputs and outputs, with Optoma even including many legacy connections for those who want to connect older systems to it. First and foremost, for modern viewers, there are two HDMI inputs, one for 1080p signals and one HDMI 2.0 port with HDCP 2.2 for 4K signals. Though most users will probably be using these for video signal, there are also RS-232C (Serial) and VGA inputs for older computers and other systems. In terms of sound, there are 3.5 mm audio inputs and outputs, as well as an S/PDIF digital audio output. 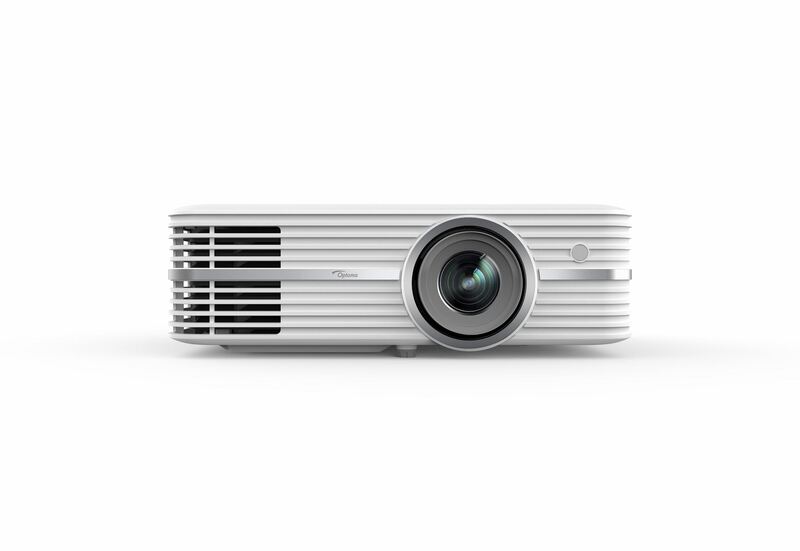 The projector also has two 5-watt built-in speakers, which provide decent enough sound for basic presentations, but we wouldn’t recommend relying on them for any kind of real video enjoyment. We’ll be honest, though: Most people who are considering a projector should also be thinking about getting some speakers and a home theater receiver, should they not already own one. In addition to sound and video, there are two USB ports on the back of the projector — a single USB 2.0 port for firmware updates, and a USB power port for use with streaming devices or other things that require USB power. With a claimed 2400 lumens of brightness, a contrast ratio of up to 500,000:1, and HDR10 support, the UHD50 will take anything you throw at it and reproduce it with breathtaking clarity. The same .47 Texas Instruments DLP chip that we loved in the BenQ HT2550 is also in use on the Optoma UHD50, and, if anything, we’re more impressed with its performance in the Optoma projector. The UHD50 will take anything you throw at it and reproduce it with breathtaking clarity. Both projectors tout 8.2 million pixels and a resolution of 3840 x 2160, but we subjectively preferred the color performance of the Optoma to the BenQ in back-to-back tests in our room. Whether viewing streaming content from a Roku Ultra or home-shot 4K video from a computer, we had a much easier time getting astonishing images out of the UHD50. Not only did it seem to come with a better factory picture setup out of the box, the UHD50 also offers vertical image adjustment and a 1.3x optical zoom, allowing you to more quickly center the image on your projector screen. We got our 100-inch image from a distance of 11 feet, 8 inches. Though the UHD50 doesn’t employ the same automatic keystone correction we saw on the HT2550, it was dead simple to adjust the image to our liking using the settings menu and included remote. Speaking of settings, the projector offers a wide array of color modes out of the box. We preferred the better contrast and gorgeous color accuracy of the Cinema mode in darker rooms, but some viewers may want to use ‘Game’ mode for playing their favorite consoles, or ‘Bright’ if it is set up in a room with lots of ambient light — though gaming on any projector does impart significantly more input lag than on a TV or computer monitor. The projector also has ISF modes, which means you can save image calibration settings for both day and night, should your viewing space dramatically change in ambient light. With a stated lamp life of 6500 hours, it’s going to be years of steady viewing before the thought of changing the bulb even crosses your mind. And by that time, you’ll probably just be looking at a different projector. Still, the replacement bulb runs just a couple hundred dollars, so even if yours burns out early, it’s not too much to worry about. If you’re looking for an absolutely silent unit for use in small rooms, this will probably not do the trick. The UHD50 does produce a fair amount of fan noise — we measured it at 32 dB at six feet — so if you’re looking for an absolutely silent unit for use in small rooms, this will probably not do the trick. That said, very few projectors are going to operate at a quieter level, in this price range or any other, and even when sitting right beside it (as we did in our oddly-shaped testing room), the bit of noise never became unbearable. We spent the vast majority of our 4K viewing time watching streaming video from Amazon PrimeVideo, Netflix, and YouTube on the aforementioned Roku Ultra, and were always impressed with the projectors’ ability to showcase even the most minute details of the picture. Whether enjoying the sheen of the chicken wings in an episode of popular YouTube-based interview series Hot Ones, or the classic looks of a 1980s Ferrari in Red Oaks, there really is nothing like seeing Ultra HD resolution images on larger screens. Everything we watched in 4K was extremely immersive and enjoyable, with numerous friends and coworkers commenting that they thought images looked better than at the movie theater. While we still think we prefer the massive high-end projection on offer at our newest local cineplexes, this was by far the best picture we’d ever seen from a projector in this price class. 1080p content like HBO’s Silicon Valley and Barry revealed excellent detail even in nighttime scenes, and quickly demonstrated that content doesn’t even need to be at the pinnacle of the projector’s resolution to be thoroughly enjoyable. A “Dynamic Black” setting on the projector brought even better contrast when switched on, offering near-cinema black levels that never distracted our eyes from what was happening in the remainder of the screen. One small visual gripe is that the .47” Texas Instruments chipset found in the projector does throw a “frame” around the actual projector image, but in the vast majority of instances this frame is quickly forgotten — save ultra dark scenes. We can’t particularly blame Optoma for this, either, because it’s the best chip in this price class of projector in 2018. If you’re after fantastic image quality at the lowest possible price, you can’t do better than this. A word about HDR performance: There exists no spec for HDR in consumer projectors yet. As such, it’s difficult to pass judgement on so-called “HDR” picture quality. With that said, the UHD50 and others like do process HDR metadata and use it to improve the on-screen image by making more judicious decisions about light and dark scenes, contrast, and color. While the UHD50’s HDR effects can’t rival the vibrant images we experience from the best OLED and QLED TVs, we did walk away impressed with just how vivid this projector could be, especially at such an affordable price point. Sure, you’re not going to get everything out of that HD Blu-Ray copy of Guardians of the Galaxy, but you’ll get surprisingly close to the experience you had in the movie theater. At such an affordable price point, any HDR performance at all is impressive. Optoma offers a one-year limited warranty on parts and labor, and a 90-day warranty on the lamp itself. The Optoma UHD50 is an exceptional entry-level 4K projector for viewers who want a cinema-like experience that doesn’t break the bank. Not that we’ve tested. We directly compared the UHD50 and the BenQ HT2550, which costs slightly more and features the same image processing chip. Of the two, we preferred the color performance and easier setup of the UHD50, though we still believe that the BenQ is a fantastic projector for the money. We should point out, too, that the BenQ TK800 was designed to more aggressively compete with a bright projector like the UHD50. The Optoma UHD50 should last many years of steady use before you need to consider a lamp replacement, at which point you’ll probably be considering an upgrade anyway. Yes. If you’re after fantastic image quality at the lowest possible price, you can’t do better than this.